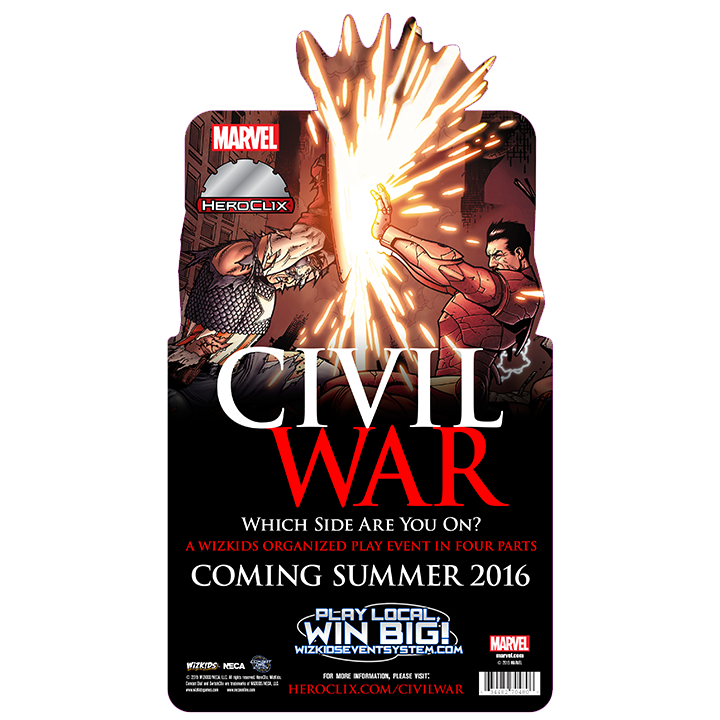 A Civil War breaks out in Marvel HeroClix starting June 2016! 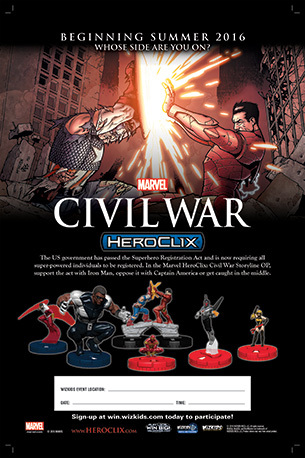 Marvel HeroClix: Civil War is a four-month Storyline Organized Play event series that will both divide and unite HeroClix players around the world as they choose to fight alongside Iron Man and other Pro-Registration heroes or alongside Captain America and his band of Anti-Registration vigilantes. 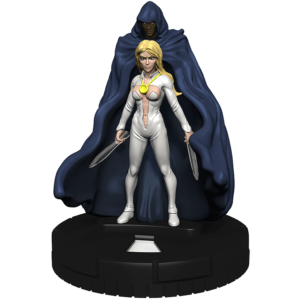 Register in the WizKids Info Network now! Click here to download a .pdf version of this OP web page. Players wishing to find Marvel HeroClix: Civil War Storyline Organized Play Events should visit the WizKids Info Network (“WIN”) to find stores local to you that are running the Marvel HeroClix: Civil War Storyline Organized Play Event Series. 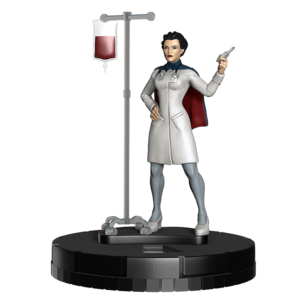 Login to reserve a seat at a Marvel HeroClix: Civil War Storyline Organized Play Event near you! NOTE: As this event series will be held at selected stores with limited supply of product and limited seating, participating stores may require pre-registration and/or pre-payment. 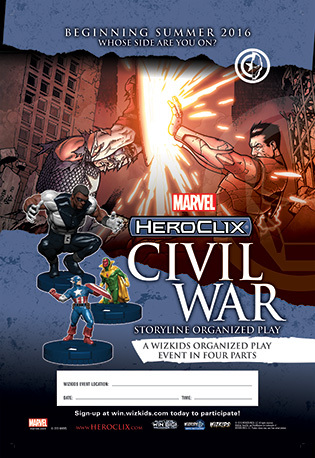 Please contact participating stores directly to ask about their registration for the Marvel HeroClix: Civil War Storyline Organized Play Event Series. 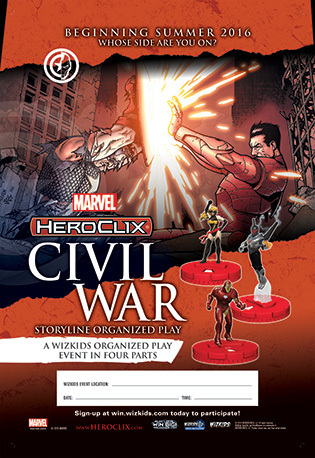 The Marvel HeroClix: Civil War Storyline Organized Play (OP) Event Series features ALL NEW and UNIQUE content based upon the Marvel Comics Civil War storyline. 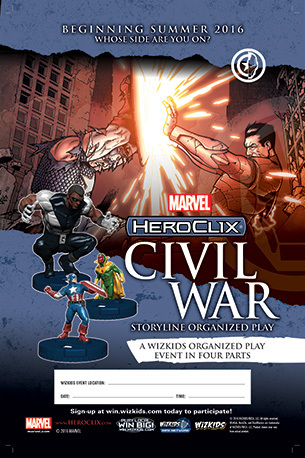 The Marvel HeroClix: Civil War Storyline Organized Play Event Series is a four-month tournament series held at participating game stores. Each month, players build teams using Marvel HeroClix: Civil War Storyline Organized Play Booster Packs and compete to win limited edition Marvel HeroClix: Civil War figures— the first three months of the Event Series will be structured as individual 4-player “Battle Royale” games with the last month being structured as a 3-round head-to-head Swiss pairing tournament. 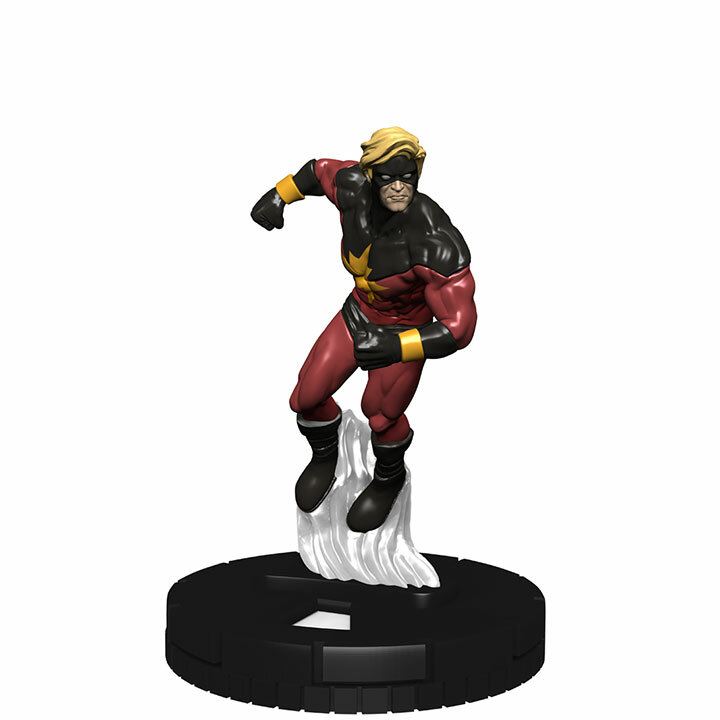 At the end of the event series, players will draft based on their overall event standing from a selection of exclusive limited edition Marvel HeroClix: Civil War figures. 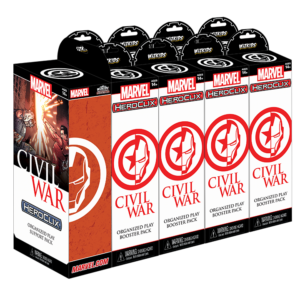 Each case of Marvel HeroClix: Civil War contains two (2) Marvel HeroClix: Civil War Booster Bricks. Each Marvel HeroClix: Civil War Booster Brick contains two (2) Marvel HeroClix: Civil War Storyline Organized Play Event Series maps which are specifically designed to be used as either a standard 2’ x 3’ map or a 2’ x 2’ Battle Royale map. 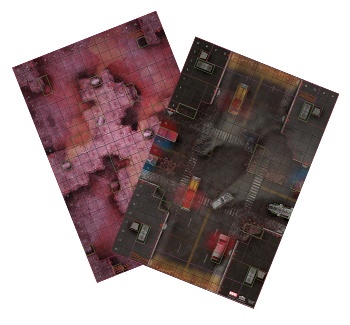 When using the maps in a Battle Royale format, the squares outside of the dotted orange lines are not used (so the playable map area is 2’ x 2’) and players use the squares inside the dotted purple lines as starting areas. Scenario Rules: Before start of game, distribute Bounty Cards— the A Victory for Our Side Optional Rule is in effect (see Bounty Cards tab for more details). 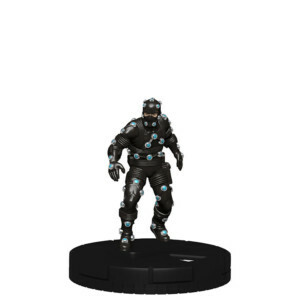 All figures used in the game are placed in the center of the map to form a prize pool. 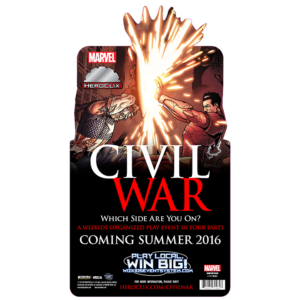 One (1) Marvel HeroClix: Civil War Prize Pack is to be added to the prize pool. 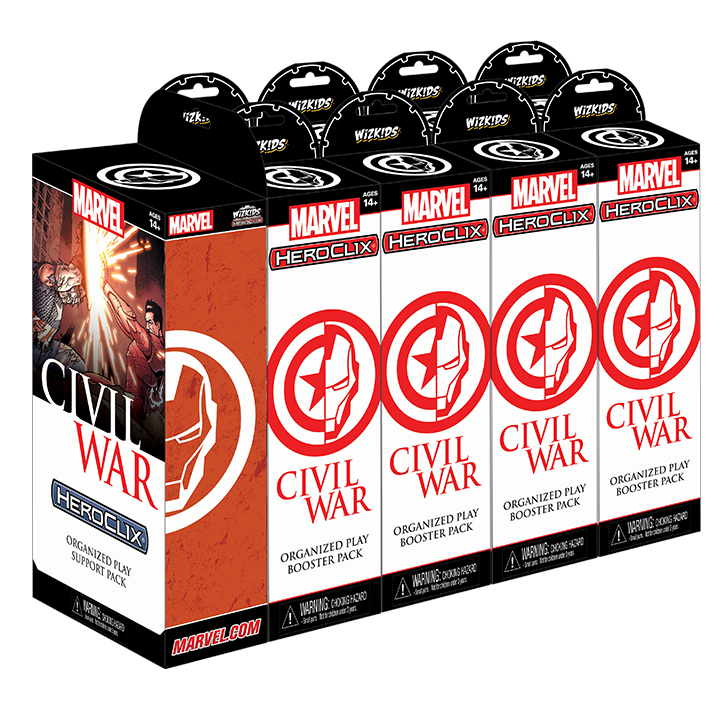 Each case contains four (4) Marvel HeroClix: Civil War Prize Packs to support 4 Battle Royales. 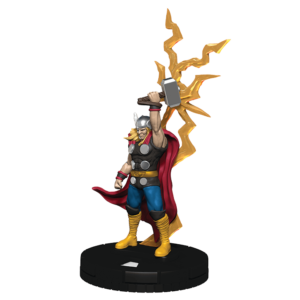 Players are to snake draft in order of their placement. Setup: Battle Royale Map—each player starts in one of the 4 Battle Royale starting areas. BONUS TP: Players on winning team each receive 1 bonus TP. 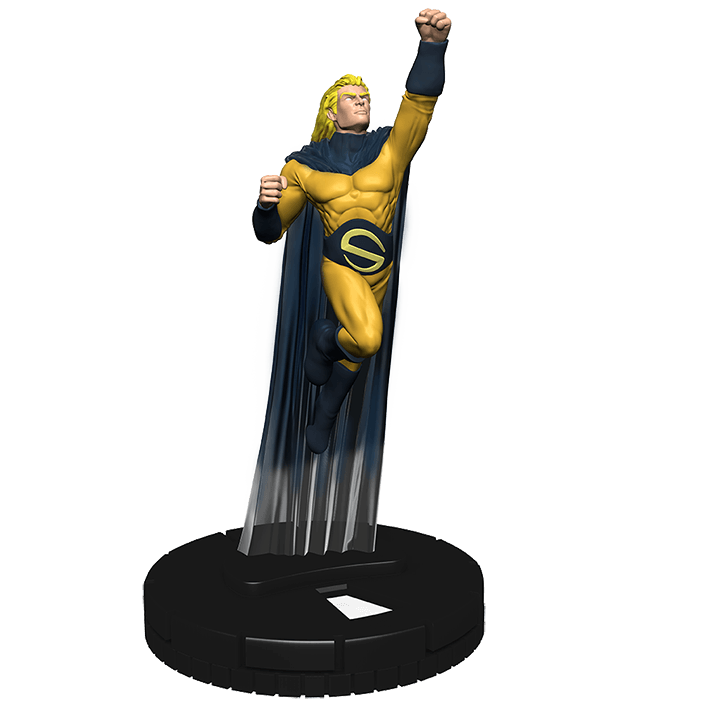 “Winning Team” is the team with the highest total Victory Points between both players. Click here to download drafting instructions and other supporting documents! In Battle Royales, players should be seated so that they alternate between Pro- and Anti-Registration players (using the orange starting areas). In Team Battle Royales, both the Pro- and Anti-Registration players should be seated on the same side of the map (using the orange starting areas). In Swiss (2-player) games, players are seated on opposite sides of the full 2’ x 3’ map (using the purple starting areas on the 2’ sides). 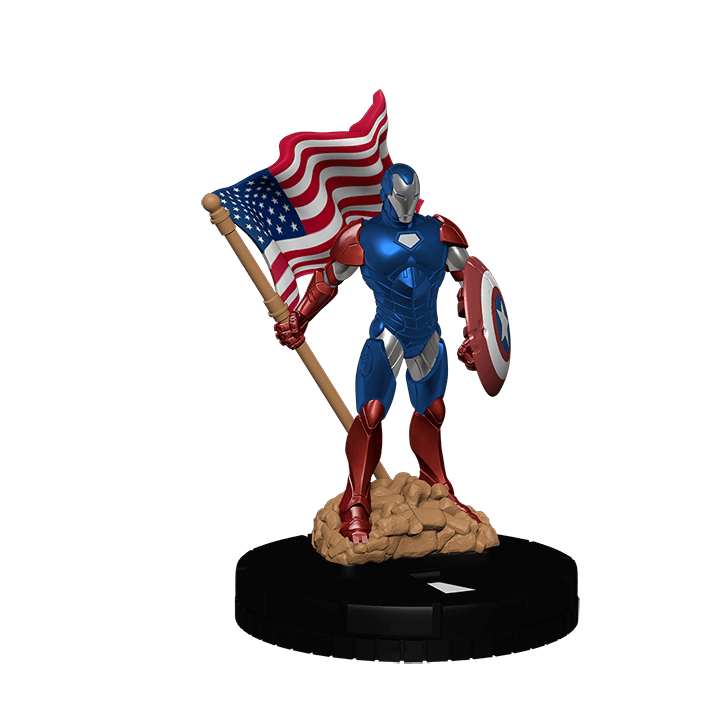 Before opening their booster pack, players choose to be on the Pro- or Anti-Registration faction. 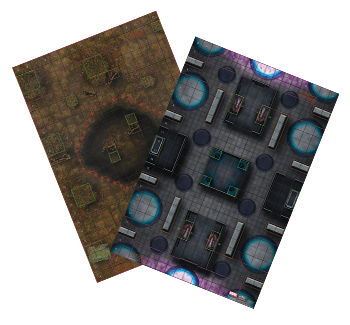 To determine factions, players roll 2d6 to determine player order. 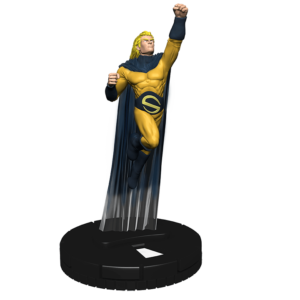 The First player chooses the faction they wish to play and the second player is then by default the opposing faction. Before opening booster packs, players determine if they are Pro- or Anti-Registration—each Battle Royale will have 2 Pro-Registration players and 2 Anti-Registration players. 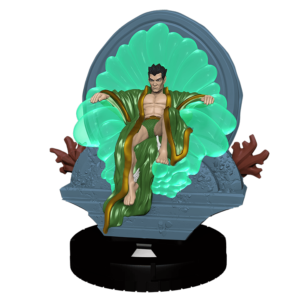 To determine factions, all players roll 2d6 to determine choice order. 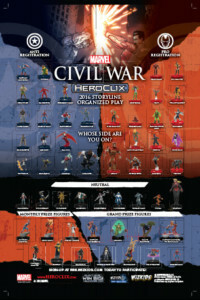 In choice order, players choose a faction— if two players have chosen the same faction, the remaining players must choose the other faction (so there are 2 Pro-Registration players and 2 Anti-Registration players). Reseat players so that the players with the highest roll of the same faction are sitting on the same side of the table and diagonally across table from the player of the same faction who had the lower roll. 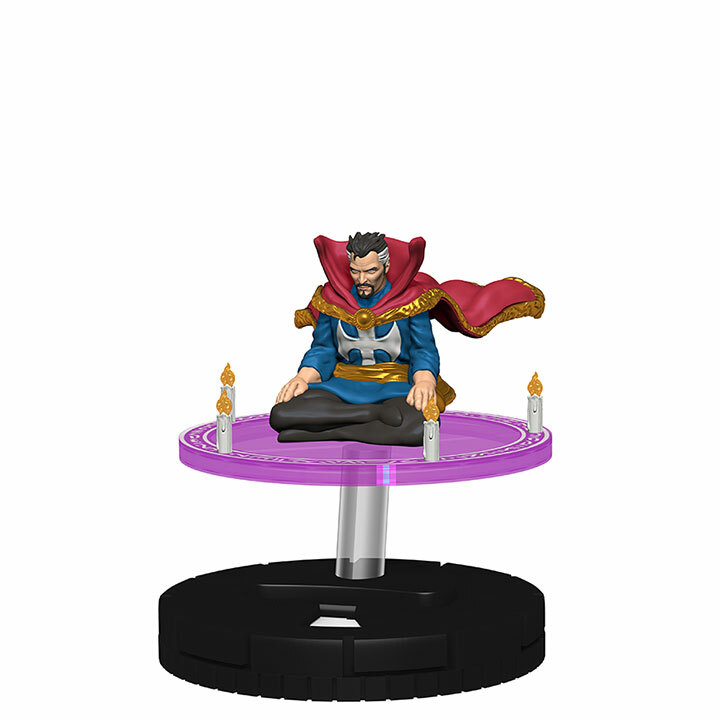 The player who had the highest roll will be the first player and the turn order will continue clockwise around the table. Distribute one random Bounty Card to each player. 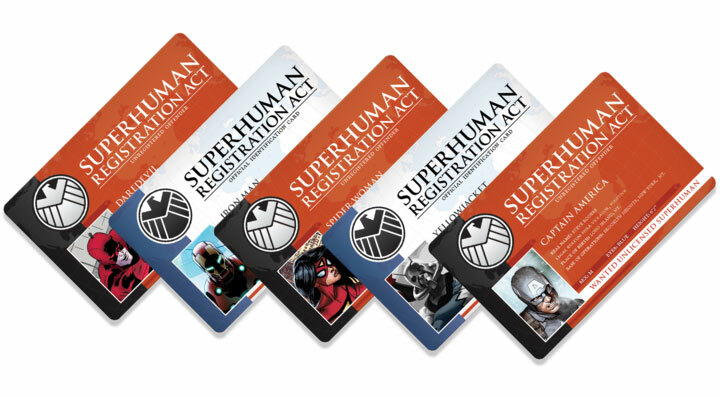 Anti-Registration players should receive an Anti-Registration Bounty Card (Blue Cards). A Victory for Our Side— If a player KOs the character shown on their Bounty Card, each player of their faction [Pro-Registration/Anti-Registration] in the tournament may heal a friendly character 1 click at the beginning of that player’s next turn. 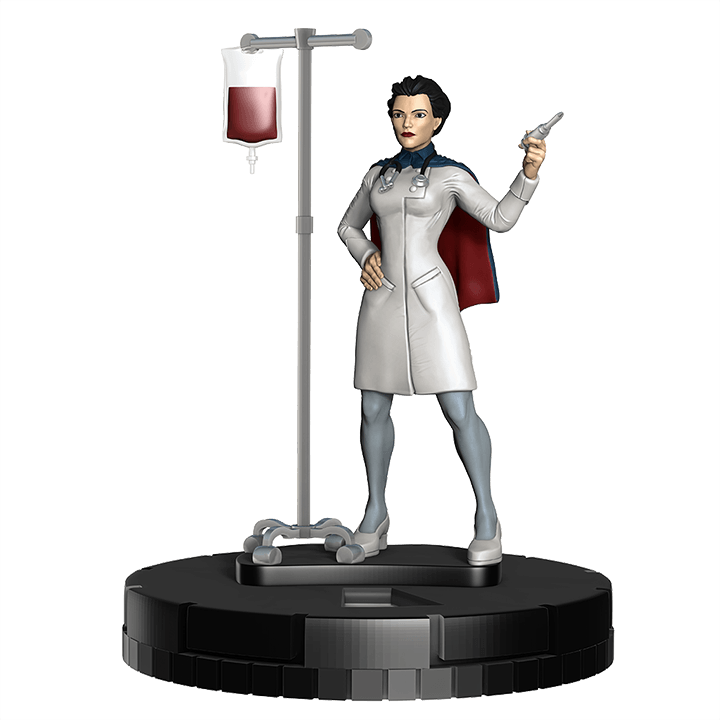 Additionally, players will compete to try and win/draft a Marvel HeroClix: Civil War Prize Pack which contains one (1) of six (6) different Limited Edition figures— packaged randomly. 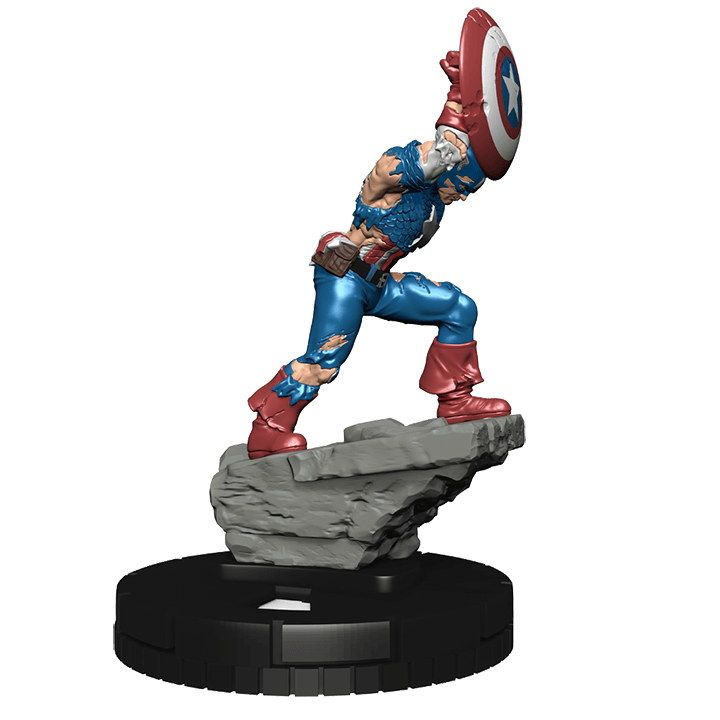 The Grand Prize for this Storyline Organized Play series is a set of 8 exclusive Civil War Prizes for players to snake draft. At the end of Month 4, the total of all players Tournament Points (TPs) are totaled to determine the draft order. Marvel HeroClix: Civil War is a four-month Storyline Organized Play event series that will energize the HeroClix community and offer exclusive content that will not be available through any other HeroClix product or release. 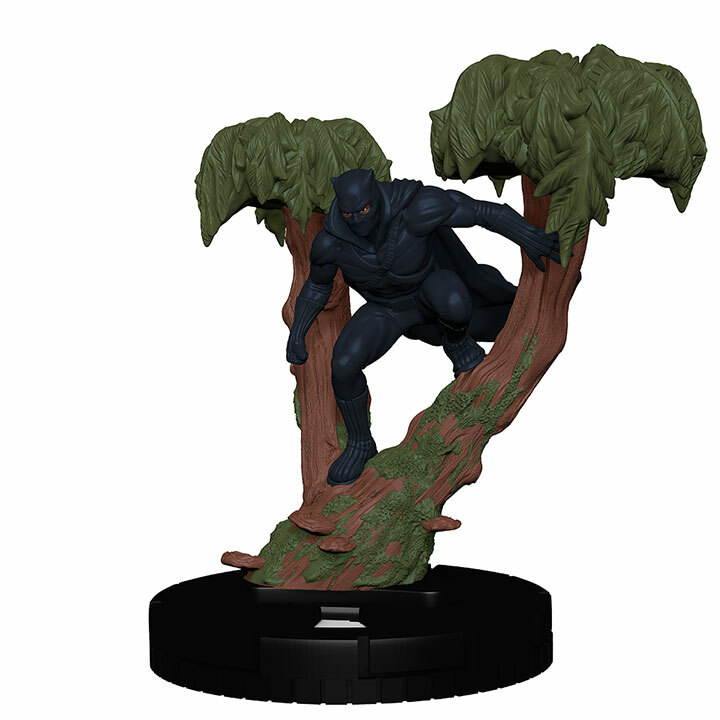 Quantities are limited and the program will only be offered while supplies last! Request and order your Marvel HeroClix: Civil War Booster Bricks today to ensure you are ready for the most exciting organized play event of the year! As a participant in the program you will register your store and events in our database using a simple browser-based interface. 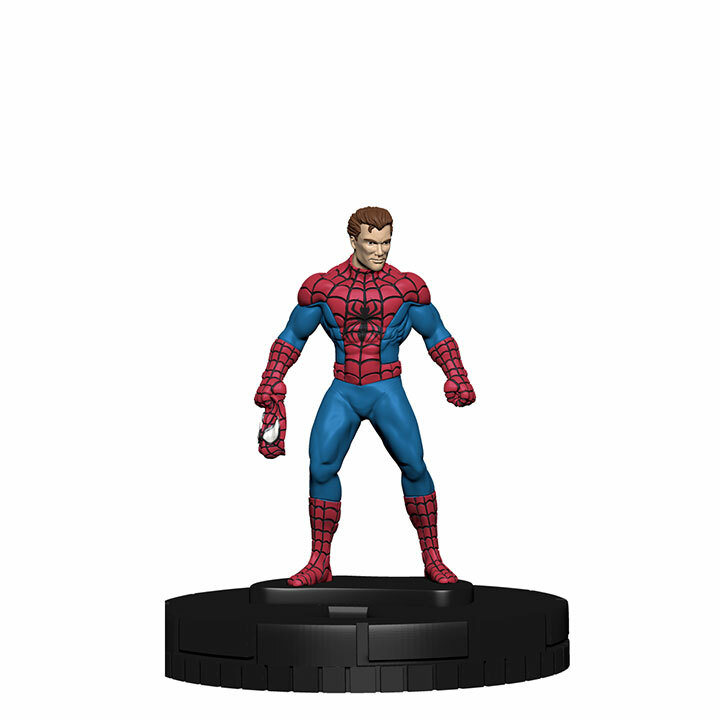 The information you provide will populate our event locator that will direct visitors of www.HeroClix.com to your store to participate in the Marvel HeroClix: Civil War Storyline Organized Play Event Series. 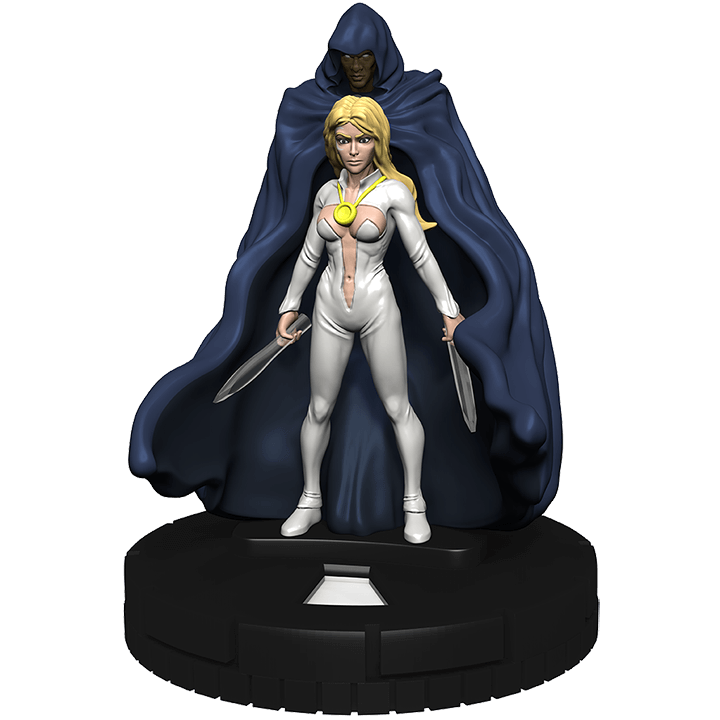 After you have placed your order with your distributor, don’t forget to register and report your events in the WizKids Information Network WizKids Info Network! Please read all of the information provided about the Marvel HeroClix: Civil War Storyline Organized Play Event Series in each of the drop down topics on this site— below are some topic details that are pertinent to retailers/important for retailers to know. 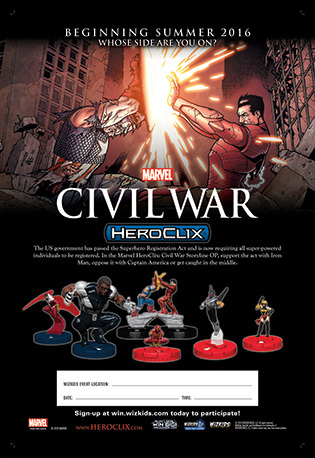 Players will be able to sign up for a store’s Marvel HeroClix: Civil War 2016 Storyline Organized Play events, however— as this will be an event series with limited product availability/seating— we suggest that stores accept pre-registration for the event to allow players to secure their place in each event. The suggested pricing for this event is $16 per player. * This covers the cost of the Marvel HeroClix: Civil War Storyline Organized Play Event Series booster pack that each player will need to use to play in the event as well as the proportional cost of the Marvel HeroClix: Civil War Storyline Organized Play Event Support Pack that is needed for the maps, Bounty Cards and Prize packs. *Entry fees where local laws allow. Players must participate in at least 2 events to be eligible to draft from the Grand Prize pool. Click here to download supporting documents! 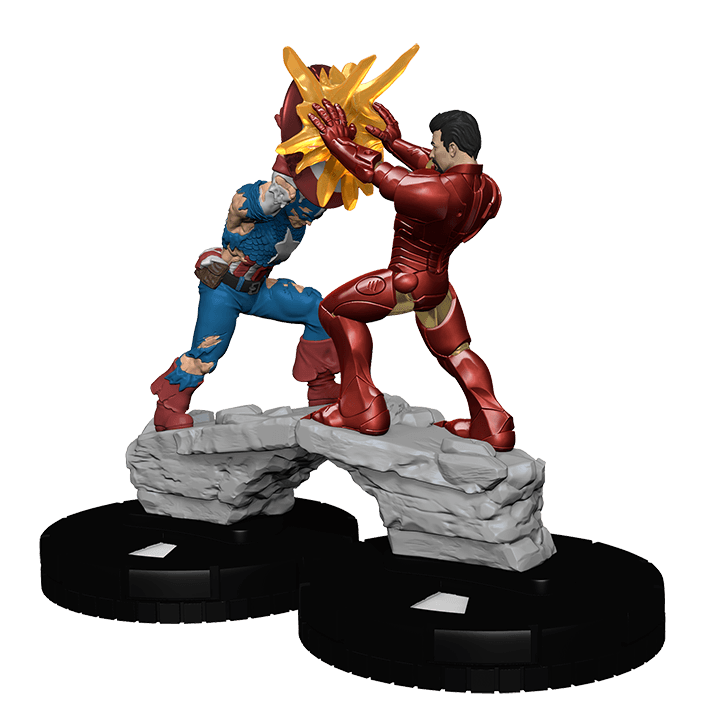 The Marvel HeroClix: Civil War OP Events are designed to run one event per month (stores receiving 2 or more cases may opt to run multiple events within the same calendar month). 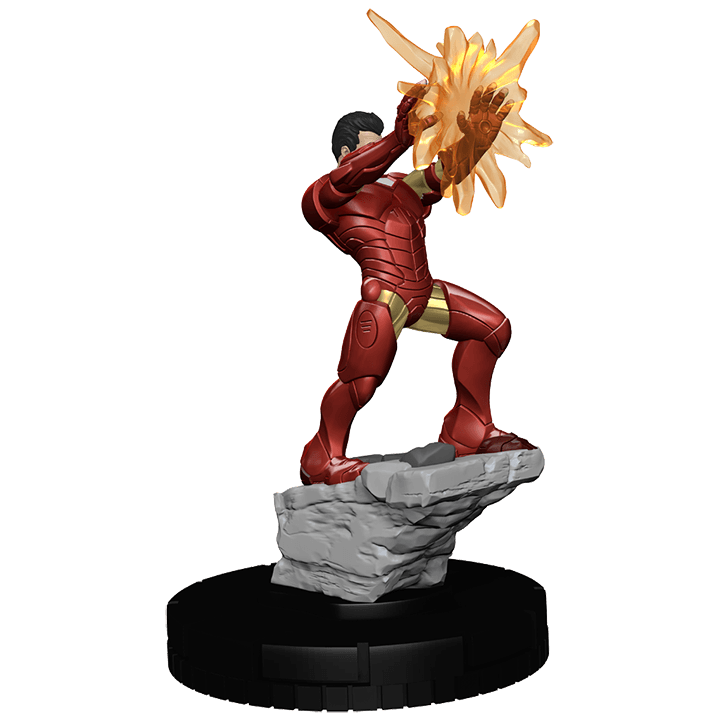 Stores must schedule their Marvel HeroClix: Civil War OP Events at least 2 weeks prior to each of their events— though stores should consider scheduling all of their Marvel HeroClix: Civil War OP Events in advance of their first events so players may plan accordingly.